RVF2S Tasting Tables feature local fruits and vegetables in school cafeterias each month. September: tomatoes! Pears are packed with antioxidants and nutrients, including vitamin C, which aids cardiovascular, muscular, and nervous system health. The skin of the pear holds about half of the total dietary fiber, which can help lower cholesterol. Pears generally mature on the tree, but ripen best after picked. Pears originate from Europe but were first cultivated in China around 1134 BC. 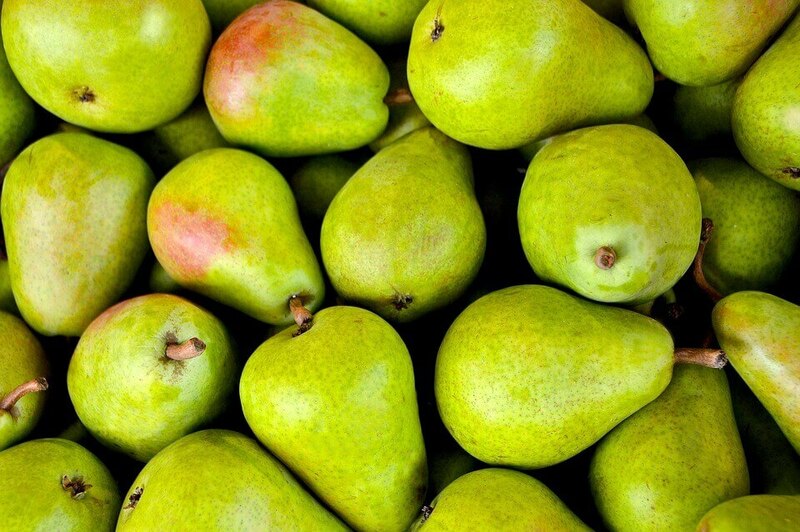 Today, there are over 3000 varieties of pears available worldwide. The United States is one of the top producers of pears in the world and most of those are grown on the West Coast. Oregon ranks second in US pear production, and the Rogue River Valley is one of the principal growing regions in the state.